These are such objects as nebulae, star clusters and galaxies – often referred to as “faint fuzzies” because for the most part they are, well, fuzzy and quite faint. On a really good night out in the country you can see a few of these with the naked eye, such as the Andromeda Galaxy, the Lagoon Nebula and a few star clusters, but they are tantalisingly vague. With binoculars a lot more start to become visible, and with a telescope you can see a whole lot more, and make out details in some of them. But – and this might be a big disappointment – you won’t usually see any of the dramatic colours that show up in photos of the same objects. Nor are they as brilliant as the photos show. Even bright objects such as the Orion Nebula look pale and translucent. It’s not that you just need a bigger or better telescope – the problem lies with our eyes. 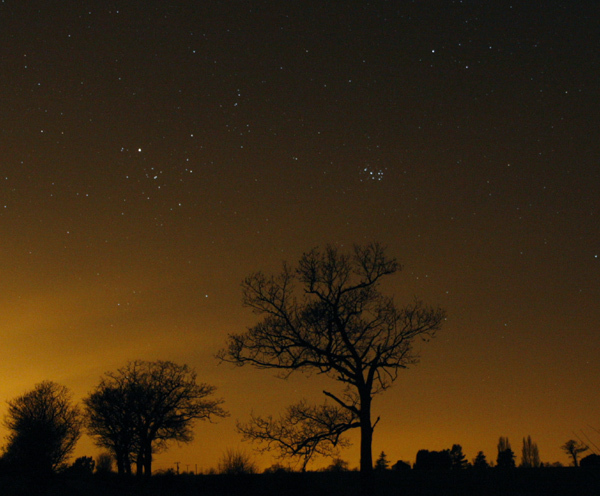 At low light levels, we lose colour sensitivity. Even on a bright moonlit night out in the country you can’t see colours in the landscape — the grass, and everything else, are just shades of grey. Binoculars or a telescope make deep-sky objects easier to see by magnifying them, and the larger the aperture of the instrument, the better they look. But they still appear dim, and you need dark surroundings to be able to see them, even through a large telescopes. So while we don’t want to put you off before you’ve even started, don’t get your expectations too high! The fun comes in finding these remote objects, often thousands or even millions of light years away, with your own eyes. What if you live in a town? The range of objects that you can see is certainly reduced, but star clusters in particular can shine through the light pollution and the murk because the stars are points of light and are not as badly affected by the bright sky background as the faint fuzzies. Having said that, it’s better to concentrate on the bright objects such as the Moon and planets. Vega as seen through binoculars. 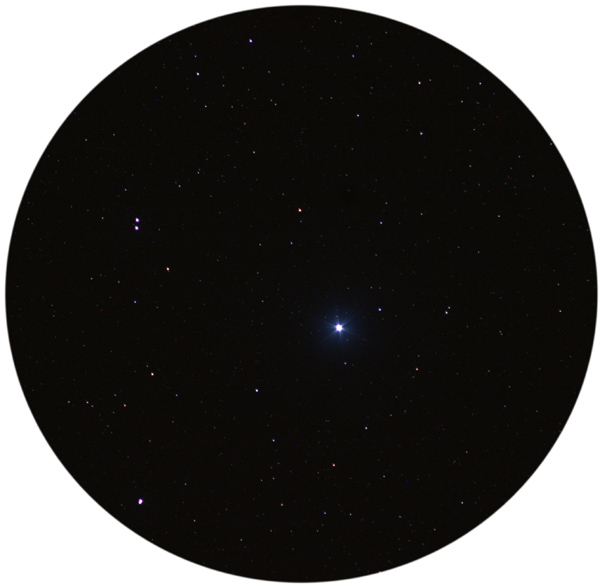 The star to its upper left, Epsilon Lyrae, is a favourite target for telescopes, as each star is itself a double. Once you’ve got to grips with what stars look like through your instrument, you can start to find those elusive deep-sky objects. 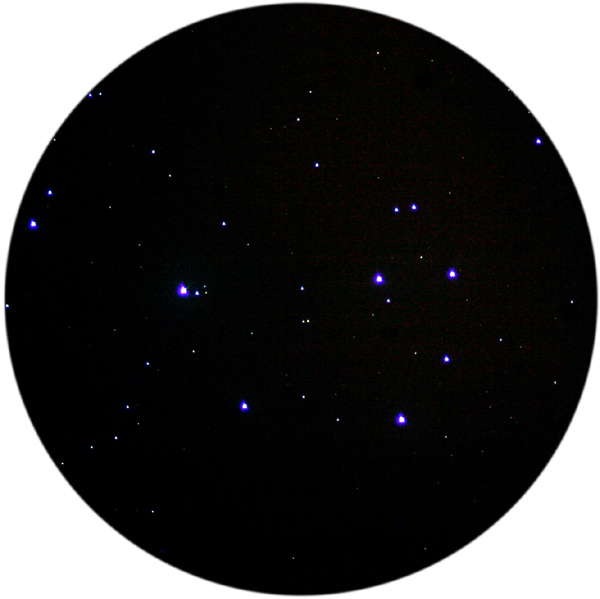 While you can find the Pleiades or Vega easily enough, most other objects are not usually visible with the naked eye so they take a bit of finding and you’ll need a fairly detailed star map of some sort. The ones you get on phone apps are good, and we like Stellarium, which can be used on a desktop or a phone. You need to work from a star you can actually see with the naked eye and which you can find with your binoculars or telescope finder. Then you use what’s called star hopping, which means looking for patterns of fainter stars that will lead you to your target. This isn’t always easy, but your ability will get better with practice.